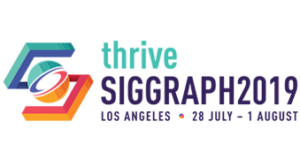 The SIGGRAPH Courses Chair is responsible for the planning, selection process, and implementation of the annual conference courses program. The Courses Chair works closely with the General Submissions Chair, Conference Chair, the Conference Event Director, volunteers, and contractors to produce a broad spectrum of educational courses. The following list is a “high-level” view of the specific responsibilities associated with serving as a Courses Chair. The list is organized under general categories of responsibility.